A pale shrike, little longer than the Red-backed Shrike. In the strain breeding in Iran (i.e. phoenicuroides), male has blackish mask on face and a white mirror on primaries’ base. In isabellinus male, face mask is less delineated, and there is hardly a white mirror in wings. All strains contain yellowish white lower parts, and male doesn’t have the thin crescent shapes found on the side of the female’s breast. Upper parts are either sandy with a reddish tint on crown, or pale homogeneous sandy yellowish grey. Flight feathers are darker in speculigerus or paler in isabellinus. The rump and upper tail vary from reddish to pale reddish orange, and usually with a rufous-tinged under tail to distinguish it from darker females and birds of Red-backed Shrike that have warm brown colours (grey under tail). 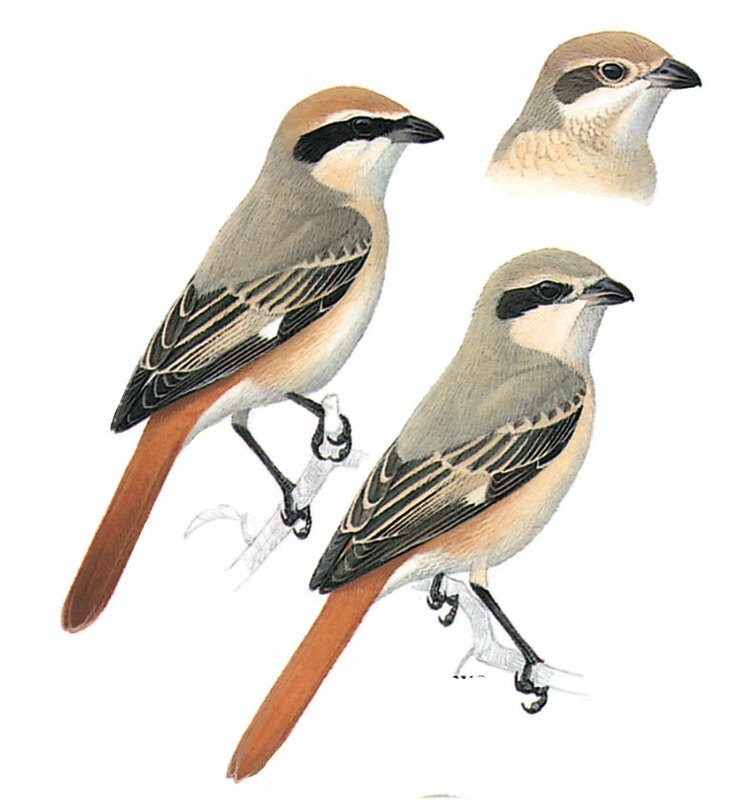 Crescent shapes on side of breast are thin and more spaced in Isabelline Shrike, and denser in Red-backed Shrike. Upper parts are paler and more sandy, however, some first year phoenicuroides may greatly resemble first year Red-backed Shrike.